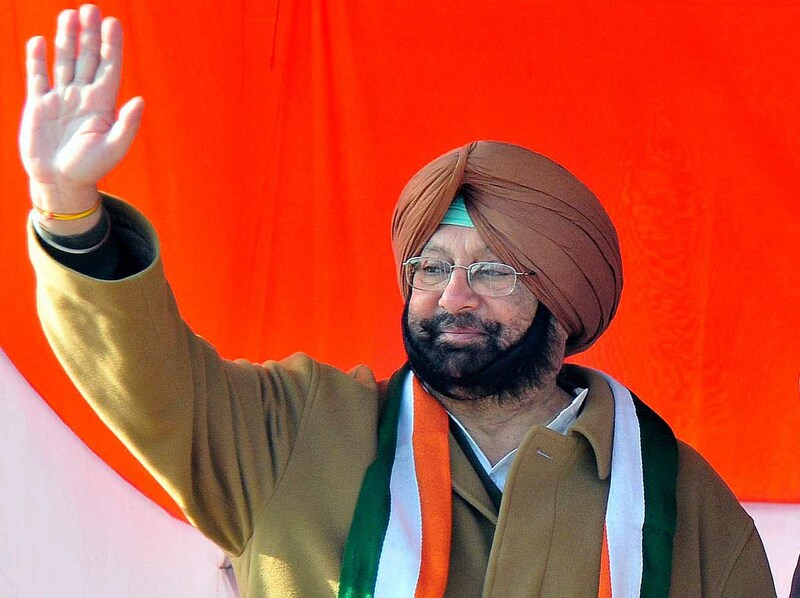 CHANDIGARH, August 17: Punjab Pradesh Congress Committee president Capt Amarinder Singh today rejected the appointment of an “independent” administrator for Chandigarh, saying it was a blatantly unjust move aimed at snatching away Chandigarh from Punjab and an attempt to deliberately weaken Punjab’s claim over Chandigarh. Capt Amarinder asked the Chief Minister Parkash Singh Badal to immediately clarify his stand on the issue. “You either make the central government, of which your party is an important constituent, rescind the move or you withdraw your daughter in law Ms Harsimrat Kaur Badal from the council of ministers”, he told Mr Badal in categorical and unambiguous terms, adding, “otherwise it will be proved beyond any doubt that you are clearly in criminal connivance with the centre”. In a statement issued here today, Capt Amarinder said, the Congress party will strongly protest and oppose the move in all available fora, including public and judicial, saying it not only subverts and undermines the Rajiv-Longowal Accord, but also threatens the hard earned peace in Punjab. The PCC president lashed out at the Chief Minister Parkash Singh Badal for silently according his assent to the move which he knows so well will simply mean setting the state on fire once again. “It reminds me of Mr Badal’s connivance with Devi Lal for approving the construction of SYL canal as this time again he has maintained a conniving and criminal silence over such a sensitive and emotive matter that will eventually lead to Chandigarh being snatched away from Punjab”, he said. Capt Amarinder disclosed that over three decades ago, the Union Territory of Chandigarh was purposely brought under the administrative control of the Punjab Governor, who till today happened to be the ex-officio Administrator, as it was agreed that till Haryana sets up its own separate capital this arrangement will continue. Subsequently, it was to be transferred to Punjab, he added. The former Chief Minister said, instead of making any further headway towards final and permanent transfer of Chandigarh to Punjab, the BJP led National Democratic Alliance government at the centre, of which Mr Badal’s Akali Dal is part and parcel, has initiated a mischievous move to start a reverse process of loosening the administrative grip and control of Punjab over Chandigarh. Capt Amarinder said, this has happened for the second time in recent past. “Earlier, the NDA government through its Attorney General submitted in the Supreme Court of India that it supported the construction of SYL canal and now they have taken another initiative that is blatantly against Punjab”, he pointed out, while wondering why was Mr Badal maintaining silence.